During the late summer of 2018, HPX deployed its typhoon technology to Ivory Coast to help better identify and map out geophysical anomalies surveyed in the February 2018 helicopter time-domain electromagnetic and magnetic survey (“HTEM”). The typhoon survey was very successful and surpassed expectations of management, according to the October 23, 2018 press release. The survey returned a very conductive zone starting from 600 metres to 900 metres below surface. Sama tested the outer upper-edge of the zone and press released the results of the initial drill hole of the anomaly and intersected 36 metres of mineralized material starting at a depth of 536 metres with grades of nickel at 3.56% starting at 569 metres below surface. The main takeaway from this hole is that there is the presence of semi-massive sulphides in the anomaly and that the next set of drill results drilling through the sweet spot of the egg shaped anomaly or “the ovoid” will indicate whether there is a large accumulation of nickel massive sulphides. Most recently, Sama followed up their initial results with 54 metres of disseminated to semi-massive and massive sulphide material from 585m to 639m from surface (see image below from Sama’s corporate presentation). Sama is continuing to do geophysical work on Yepleu, including using the Mise-a-la Masse downhole geophysics on holes YE29-556043 and YE29-553044 to better map out the system they are uncovering. They are also targeting HTEM anomalies to the south (Phase 2) that displayed the heaviest conductivity and have the potential for very large deposits; these anomalies were not tested by the typhoon technology and should produce high quality drill targets (see image below). As indicated in the press release dated February 14, 2019, the typhoon modelled a highly conductive zone of 200m x 250 x 400m at about 600 metres from surface. This is important because it likely indicates a large accumulation of sulphide material that can result in high grade metallurgy and can easily be mined. A great example of this type of anomaly is to take a look back at the Voisey’s Bay deposit when hole VB-95-07 cut right through an “ovoid zone” and returned 104 metres of 3.9% nickel and 2.8% copper. With a significant drill hole at Yepleu, I believe the stock will soar not only based on the potential discovery of a large reservoir containing nickel sulphide, but the presence of Robert Friedland’s involvement in the company. Through HPX, Robert’s company completed eight months of due diligence on the Sama properties,(see video below starting 5:40) and subsequently participated in a 25,000,000 unit private placement at $0.21(1 common share and 1 common share purchase warrant exercisable at a price of C$0.28) and committed to spend up to $30,000,000 in expenditures on exploration and development of the Sama deposits. 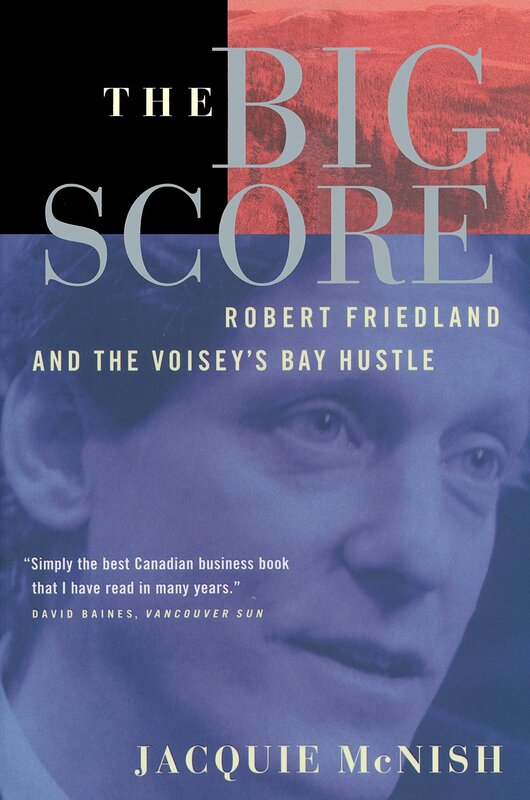 Robert Friedland is best known for his “big score” at Voisey’s Bay, a high grade nickel deposit in Newfoundland, owned by Diamonds Fields Resources Inc., where it was subsequently purchased by INCO for 4 billion dollars in 1996 (that’s about 10 billion today). He is arguably the best promoter in the mining industry and a track record of being involved with world class discoveries such as the copper discoveries under the Ivanhoe brand at Kamoa-Kakula in Congo and Oyu Tolgoi in Mongolia. What Robert brings to the table is the ability to get people excited about the stock and access to capital once a discovery is made. He is currently deeply rooted in Africa as CEO of Ivanhoe Mines Ltd., with two projects in Congo and one in South Africa, all three considered world class deposits. He has deep connections with China, such as the $723,000,000 investment made by CITIC, a Chinese state enterprise. As shown at the top of article, Sama owns approximately 24.65 million shares or ~30% of Sama Graphite Inc. (“SRG”), a spin off company of Sama. SRG is currently developing a graphite deposit and nickel-laterite/cobalt deposit in Guinea, the country neighbouring Ivory Coast. As indicated below, approximately $0.125 cents of the current share price is baked into the Sama share price on a stand alone basis. Sama is effectively trading at $0.265 cents a share based on the assets in Ivory Coast. The SRG acts as a backstop to the Sama share price and has big upside due to the advancement of the Lola graphite deposit. The graphite deposit at Lola is near surface, high grade and easily accessible by road. The flakes are mainly large and jumbo, which can be sold for a much higher price than smaller flakes. The key catalyst for SRG coming up is the announcement of an off-take agreement and secured financing for the development of the Lola deposit. When SRG goes up, so should Sama. I believe with a significant drill hole the stock will go flying due to the rarity of these type of deposits and the potential size of the district. At this stage, Sama has barely scratched the surface of what they might have. The company has a very important strategic partner in Robert Friedland and the HPX geologists, including Eric Finlayson, who sits on the board of Sama. Sama has plenty of working capital and is very unlikely to seek further dilution for at least the next two years. Sama is one of the few exploration companies with blue-sky potential. Disclaimer: I own shares in both Sama and SRG Graphite. I have not been compensated by either company nor any 3rd parties. All views expressed are my opinion.